(Hong Kong, Shanghai, 25 January 2019), Ping An Insurance (Group) Company of China, Ltd. (hereafter “Ping An”, HKEX: 2318; SSE: 601318) announced that Ping An Property and Casualty Insurance Company of China (hereafter “Ping An P&C”) has launched a credit based smart auto claim solution nationwide, to make it easier for car owners to make claims and encourage good driving habits. The credit based system will go online across the country after testing in Guangdong Province last month. Drivers can make claims through mobile phone and receive the compensation deducted from a dynamic credit quota, which is related to their driving behavior and history — including traffic violations and credit records. All they need to do is to report the case to the insurer, upload relevant photos for an AI-assisted assessment and confirm the compensation online. 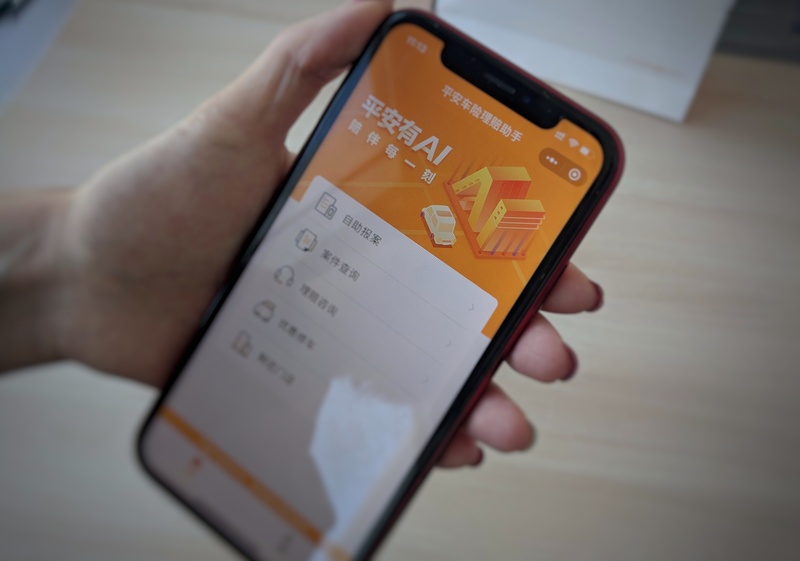 Car owners can check their credit quota via a mobile application developed by Ping An, and the quota will change dynamically based on big data like the users’ driving habits. Good drivers will earn more quotas by safe driving habits while those who commit transgressions such as fraud will see their credit quota canceled. Zhu Yougang, deputy managing director of Ping An P&C, said that the smart claim system aims to encourage more civilized driving habits and improve public transportation safety. The traditional claim settlement includes a number of complicated stages such as initial reporting, loss assessment, compensation assessment, handling documents and compensating, requiring 5.18 manual workflows in a single case on average. The new system is based on the AI smart claims credit model built with technologies such as image damage assessment, OCR bills identification, and biometrics. It minimizes the complicated procedures to the greatest extent. According to Zhu Yougang, Ping An P&C has been committed to providing professional services for car owners and realizing smart travel by the use of advanced technologies. At present, the AI technology has been applied to the whole process of car insurance claims settlement, including initial reporting, submitting digital pictures, loss assessment, and handling document, etc. Among them, smart human-machine interaction offers round-the-clock service to handle the reported cases. The smart scheduling engine and smart grid technology can provide timely surveying within 5-10 minutes for 95.5% car accident cases occurred during the daytime, in which 30% of cases have adopted AI image recognition technology to complete the loss assessment. The accuracy rate is as high as 95%, and the compensation can be received within seconds through the face recognition.